The drive for Shariah compliance in the Islamic banking business may have brought it towards the intended objective which is to free its operation from riba and other prohibitions. But thriving on profits alone and lack of social touch in the business has produced criticism about the value driving it which to some extent gave way for the concern of justice and hence, maqasid shariah (Objectives of the Shariah). The maqasid shariah amplifies the need for moral and legal imperatives in Islamic banking policies to strike a balance between profits and social as well as being resilient to shocks in financial markets. By doing so, it makes a difference being an Islamic bank to be emulated by competitors and adversaries alike. But reality bites as signs of converging into mainstream banking practices are painfully visible that brought questions of substance over form. When tawaruq and Murabaha instruments began behaving like interest-bearing loans, convergence seemed imminent. Converging means possible exposures to the danger of fragility as well as the injustices that riba creates in a lender-borrower relationship. One is fragile if he avoids disorder and disruption for fear of the mess they might make of his life: he thinks he is keeping safe, but really he is making himself vulnerable to the shock that will tear everything apart. Fragility in Islamic banking will mean failure to stay resilient to shocks arising from its debt dependent system that it should be free from in the first place. According to IMF (2017), hybrid financial products emerging in Islamic banking have replicated aspects of conventional finance, raising financial stability concerns. It supports earlier studies indicating that both the Islamic and conventional banking systems are vulnerable to macroeconomic and financial shocks. This is despite the popular belief that the Islamic financial system can weather financial shocks relatively well due to its interest‐free nature. It somewhat contradicts suggestions that the interest‐free banking system is able to insulate the monetary system from interest rate fluctuations and therefore, minimize the possibility of financial instability. Fragility in banking can potentially destroy the wealth of individuals and families. The 2007 US Subprime crises destroyed $35.3 trillion of wealth globally. The US government alone took $20 trillion of public funds over a period of two and a half years to lift the total world market capitalization of listed companies by $16.4 trillion. While the protection of wealth (al-mal) constitutes one element of the maqasid shariah, through the institutions of zakat and waqf, property rights and the prohibition of riba, all these will crumble to pieces when Islamic banks remain fragile and vulnerable to financial shocks. All of the hard-earned income from halal investments will go down the drain swept by falling asset prices and business closures adversely impacting society at large. At the same time, the money lending system has evidenced income disparity between the rich and poor. Banks lend deposit funds to creditworthy borrowers who usually make more money from the loan. For example, a bank charges 7% interest on a loan to the big corporation who use the money in a business deal to make 40% profit while depositors receive a meagre 1% or 2 % interest income, hence a stark income inequality between big business and households appears. One study found that an increase in private bank credit in Europe increased inequality, as measured by both the Gini index and the top-income shares. Another study in Indonesia found that loans extended to big companies have increased income inequality instead. A positive association between the probability of banking crises and the level of income inequality also has been found in as many as 33 advanced countries. Fractional banking system: Islamic banks are set up based on the fractional banking system where most of the money in the economy is created by banks when they make loans. The danger point occurs when too much loan ie digital money is made out of greed or irrational exuberance as Allen Greenspan puts it, that create bubbles in the stock and property markets and eventually recession, as evident in the 2007 US subprime crises. The power of money creation is put in the hands of the superrich who own the banks, hence the concern for poorer society is side-lined. Central banks can put a stop to this powerful system by requiring the bank to place a fraction of deposit as cash that serves as a tool of monetary policy in controlling the money supply. But often, this is frustrated by the procyclical behaviour of the commercial banks that goes against central banking stabilization policies. Deposit-taking banking system: Islamic banks take deposits to extend financing. As a deposit-taking entity, it is leveraging on borrowed funds to make the Although these deposits are labelled profit loss sharing (PLS), it remains a deposit fund in which Islamic banks must hold sufficient capital to back-up the Murabahas as required by the Basel Committee. It will frustrate any attempts to diversify assets into PLS and true Murabaha, istisna and salam as the capital charges are exorbitantly high due to the business risk carried by these real-sector based products. The way out is to use tawaruq instruments that are only too similar to interest-bearing loans. Tawaruq fatigue: the tawaruq contract applied in Islamic financing has detached asset that consumers intended to buy from the tawaruq sale contract. The customer no longer needs to enter into an agreement with Islamic banks into buying and selling, say a house or machinery. By entering into the tawaruq scheme, customers obtain the liquidity needed to purchase the assets they want, like taking a bank loan. While undoubtedly, tawaruq sales have evidence underlying asset attached to the sale, business risk or price risk is avoided by way of quick sale and purchase of the assets. The danger of high contract concentration risk is in sight if less effort is done by regulators to control the use of tawaruq. Benchmarking profit rate against interest rate: pricing of Islamic debt instruments is set by the bank using LIBOR as the benchmark rate on which the credit spread is added to evidence the risk of the borrower. This shows Islamic banks carry only risks similar to an interest-bearing loan, namely, credit risks, market risk and operational risks. One fundamental principle of Islamic transaction is that “profit is accompanied with risk” al-ghormbilghunm which in a sale (al-bay) constitutes the taking of business risk by the trader who says, buys goods at cost, say $10 and intends to sell at a profit, say $15. Business risk suggests that there is no guarantee he can sell it at a profit. In an economic downturn, he may only sell below cost and thus, make a loss. Business risk or commercial risk does not exist in tawaruq and other Murabahas, as it is blocked by way of speedy sequences of sale and resale to nullify any price change of commodity that the program uses, say palm oil and metals. Using Shariah as a defence against default: that more loan structures have appeared in Islamic debt instruments is evident by the increasing number of legal cases with the Shariah utilized as a defence mechanism against default. Recent Dana Sukuk default in 2017 shows the use of Shariah by the borrower to invalidate the musharaka contract entered by contracting parties as it contains a purchase-undertaking agreement that turns it into a loan. Earlier in 2004 defaulting Beximco Pharmaceuticals argued in court that the contract utilized in the deal is based on a loan contract as opposed to a sale. Ironically, in both cases, the Shariah authorities invalidated their own fatwas for some commercial reasons. Asset-based Sukuk: When the Quran promotes al-bay over riba (al-baqarah 275), the idea is to put capital at risk in trade and commerce as opposed to safety in riba from the loan covenant commonly dictated by the lender. It also means the passing of ownership of goods by the seller to the buyer in exchange for the price. The defaulting case for Investment Dar (2009), Nakheel Sukuk (2008) and KSA Saad Sukuk (2012), however, revealed that the deals were not based on the asset-backed model in which ownership of underlying assets is passed to the investors. In these three asset-based sukuks, no transfer of an asset is evidenced from the SPVs to the investors, making it more like a conventional interest-bearing bond. Based on the above observations, Islamic finance practices which are mainly driven by commercial banks and Shariah regulators must look for more viable options to diversify assets and funding that can free itself from the dictates of interest rates. As for now, clear evidence on convergence should not be downplayed as minor glitches and distractions. 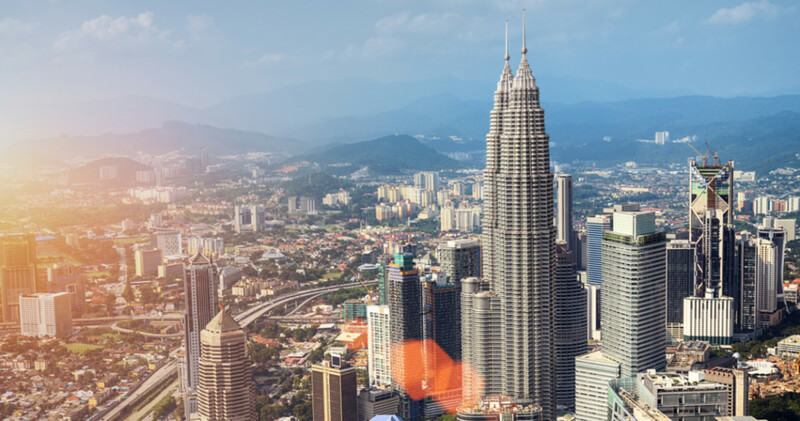 The move to introduce investment account (IA) funds in Malaysia in 2014 via IFSA 2014 is a bold policy action that can help dilute the high intensity of tawaruq utilization in financing and deposit market. When banking shareholders have now to embrace the environmental, social and governance (ESG) criteria in banking operations, and it should proceed to address fragility issues as part of its social concern. It will be a tough agenda indeed as it means a crusade against the system of riba. This material has been distributed for informational and educational purposes only and the opinions expressed represent the views of the author and not necessarily those of Wahed Invest LLC or any of its affiliates, directors or personnel (“Wahed”). Any assessment of the market environment as of the date of publication is subject to change without notice, and is not intended as investment, legal, accounting, or tax advice. Wahed assumes no obligation to provide notifications of changes in any factors that could affect the information provided. This information should not be relied upon by the reader as research or investment advice regarding any issuer or security in particular. Any strategies discussed are strictly for illustrative and educational purposes and should not be construed as a recommendation to purchase or sell, or an offer to sell or a solicitation of an offer to buy any security. There is no guarantee that any strategies discussed will be effective. Furthermore, the information presented may not take into consideration commissions, tax implications, or other transactional costs, which may significantly affect the economic consequences of a given strategy or investment decision. This information is not intended as a recommendation to invest in any particular asset class or strategy or as a promise of future performance. There is no guarantee that any investment strategy will work under all market conditions or is suitable for all investors. Each investor should evaluate their ability to invest long term, especially during periods of downturn in the market. Investors should not substitute these materials for professional services, and should seek advice from an independent advisor before acting on any information presented.